To say that this was a serendipitous find is an understatement. The author somehow accidentally found my humble, yet edifying review blog and liked what she saw, contacted me and the rest is history. To say that I enjoyed the heck out of this book is also an understatement. The characters are wonderfully crafted (including a couple of the horses)…the story is gripping…the settings are such that you feel like you are there but the best part is watching the relationship between Captain Hollie Babbitt, a cantankerous s.o.b. and his new aide Luce Pettitt, the nephew of the Earl of Essex. Luce, naive and in over his head, finds himself thrown immediately into situations he is not seemingly cut out for and that is the meat of the story…can he survive not only battle against the King’s forces but also against this seemingly unchangeable cavalry commander. All in all, a well researched and well written account of the early stages of the Civil War and there is more to come and that is a good thing. 5 stars. 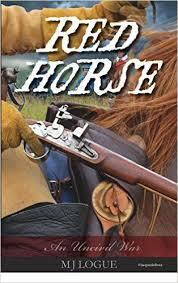 M J Logue has been passionate about the English Civil War since writing her first novel over 20 years ago. After a brief flirtation with horror and dark fantasy, she returned to her first love, historical fiction, and now combines the two. She has a degree in English literature, trained as an archivist, and likes Jacobean theatre, loud music, and cheese. When not attempting to redeem the reputation of the Army of Parliament, she lives in Cornwall with her husband and son, three cats, and a toad under the back doorstep. I can pinpoint when my fascination with ancient Rome began to the viewing of two movies, Ben Hur and Spartacus (yes dear readers, I am that old.) Nowadays I get my Roman fix through the medium of historical fiction, and there is a lot of that to choose from. However, the idea that there could still be a remnant of that ancient favorite still extant and thriving is the basis for this wonderful series by Alison Morton, Roma Nova. A modern nation still bound by many of the old traditions and thriving in the 20th century is what she has not only crafted but done so in such a way as to make you think it was possible. 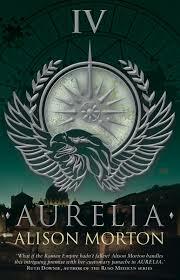 The fourth book, Aurelia, is a prequel to the first three and centers on the matriarch of the Mitella family and like her namesake, the mother of Gaius Julius Caesar, she is a formidable character. In the first three books, she is an older woman but still full of wisdom and strength; in the fourth she is a young woman coming into her own as she finds herself thrust into an international plot to undermine the economic stability of the nation and a plot to undermine the matriarchal society that Roma Nova has become. All of that plus the threat to her life and of that of her family makes for an intense drama built upon the imaginative characters the author has created. The action and drama is relentless; the climatic conclusion is heart-stopping stuff – in other words; I enjoyed the first three books tremendously; the fourth even more so. Kudos to the author and a well deserved 5 stars. Over the course of the last few years I have delved into quite a few books that are parts of a series. The Agent of Rome series by Nick Brown being one of the best of them. 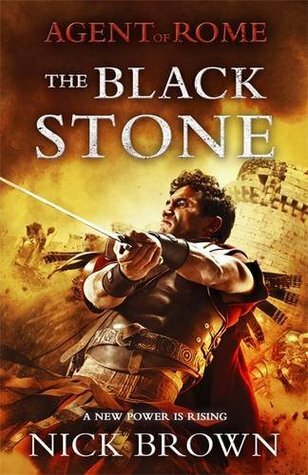 The Black Stone, the fourth book in the series, continues the adventures of Cassius Corbulo, his slave/attendant Simo and his bodyguard Indavara. In this tale they are on the trail of the mysterious black stone, an ancient object of worship that has been stolen and one that the Emperor Aurelian really wants back. The thief has it taken to a very remote spot in the Hejaz Mountains in Arabia where he is building a cult following for a sun god and where he is also fomenting rebellion among the nomadic tribes against Rome. The narrative brings out a perfect feel for the inhospitable, treacherous and dangerous terrain Corbulo and his crew must cross just to get to the location. Corbulo is not your typical Roman soldier; he is not a warrior, but a deeply sensitive and very intelligent man and it takes all of his smarts to outwit his foes. One of the things an author must accomplish in any series of books that utilize the same main characters is a continuing sense of character development. Nick Brown passes this test with flying colors. The reader gets to know more and more about the three companions as the relationships between them are tested; to the limit in some instances, and one does not know until the end if they pass those tests. Another strength of the author, the drama and intrigue of the plot, held me spellbound during the climatic last half of the book. 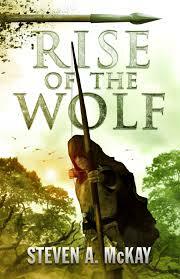 Once again I raise my coffee cup in salute for another masterful story and cannot wait to start on book five. 5 stars. In the interest of transparent accountability I hereby issue the following disclaimer: Neither the fact that I won a copy in a giveaway on that very fine Facebook page The Review, and that the copy I am reviewing is autographed by the author with an encouraging sentiment included, nor the fact that much of The Wessex Turncoat takes place during The American Revolution which just happens to be the subject of my current work in process, have in any way influenced or infringed upon my integrity as the founder of this very fine book review blog. Never even entered the mind; so be comforted, my book review reading peeps, by this humble yet wise reader, writer and reviewer of books and his impeccable, honesty-driven character. Aaron Mews is a seventeen year old blacksmith’s apprentice who volunteers to take his father’s place in delivering a horse to a buyer in town some miles away from home. Everything is going just fine until his inexperience and naiveté finds him in dire straits and at the mercy of an army recruiting troop. Now, I have read the most excellent Aubrey-Maturin series by Patrick O’Brian so I have a pretty good idea how hard life was for a British sailor. 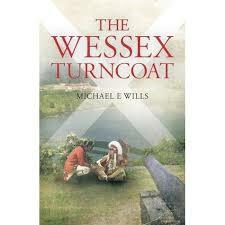 In The Wessex Turncoat we get a good glimpse into the life of a Redcoat infantryman, including the, shall we say, unorthodox recruiting techniques. His regiment is eventually sent to North America to help quell the colonial unrest. During the course of the book we see Mewie grow into his new role as a soldier and as a man who is not afraid to take risks to perform his responsibilities. Faced with privation, hardship and loss he refuses to lose hope and rebounds from the challenges. The research that went into this book is evident from the squire-peasant relationship, the way of life as a soldier, the topography and battle scenes. When you combine the scholarship involved with an easy reading style and an engaging story line with enough surprises to keep the reader happy and guessing, you have the makings of a enjoyable read that you may even learn from. I was born many years ago in Newport on the Isle of Wight and attended the Priory Boys’ School and later Carisbrooke Grammar. On leaving school I trained as a teacher at St Peter’s College, Birmingham, before teaching mathematics and physical education for two years at a rural secondary school in Kent. I decided that I would like to teach abroad and so I re-trained to become a teacher of English as a Foreign Language. I was lucky enough to get a one year contract to work in Sweden, a country I learned to love. In fact I stayed there for thirteen years. In 1979 I returned to UK with my wife Barbro and our three daughters, with a plan. We wanted to start our own business, and we did. It was called the Salisbury School of English. From small beginnings the school developed into substantial business enterprise. I retired in 2008 after over forty years in the field of education. Along the way, I was President of Salisbury Chamber of Commerce and Industry and Co-Chair of English UK, the national association of English language training providers. Currently, I am employed part-time as Ombudsman for English UK. Life has never been busier and I divide my spare time between enjoying my grandchildren, and indulging my interests in writing, carpentry, amateur radio and sailing. I have had a life-long interest in history and in particular that of the Viking period. Thus it was that I was very pleased to focus on this by doing academic and field research for two novels about this turbulent time in English and Scandinavian history. It is fascinating to me that I keep finding books that deal with times and places that I have not visited. This time it is the early Middle Ages or the Dark Ages to some and the place is southern Scandinavia. 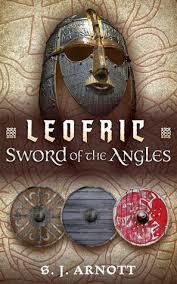 Leofric is a sickly son of an Angle hero and the nephew of the Thegn, a devious man who convinces Leofric and their one handed servant to pose as mailed warriors in an upcoming muster; a scheme that has unforeseen consequences and which sets the tone and drama for the rest of the story as Leofric comes face to face with his fears in order to fulfill his wyrd or fate. The author has given us a glimpse into the lives of the various groups that inhabit that portion of Europe; most of these groups play a future role in the formation of Britain; first as raiders and later as conquerors and settlers. I hesitate to say too much so as to not rouse the Spoiler Police, but there is plenty of drama, twists in the plot, wonderful characters and scenic description to make this a most enjoyable read. Plus, the end of the book is not the end of the story, there will be more of Leofric to come and that my historical fiction friends is good news indeed. A solid 4 stars and a hearty Hooverbkreview recommendation.